During 1965 and 1966 this beautiful Elva BMW Mark 7S was raced very successfully in Britain by Keith St John. With the works car driven by Tony Lanfranchi, it was one of the two best-known Elva BMWs in period. It was also one of the first cars in Britain ever to carry sponsorship, being supported by Radio London, an early “pirate” commercial radio station. It was generally known as the “Radio London” car. The car is one of only 15 similar models that were built with the powerful BMW 2-litre engine in full race configuration. Michael bought the car in 1967, and brought it out to Australia with him in February 1968. He sold it in late 1970 after an undistinguished few years, and it then passed through various configurations until being obtained and restored by Ian McDonald in 1986. Michael bought it back in 1998 and it was very successful in its new life, still holding many historic category sports car lap records in Australia. However, in 2012 Michael accepted an offer from an experienced racer in the UK, so it returned "home" and is now racing in many prestigious events including the Goodwood Revival. Niki Lauda was the driver of this works March 722 International Formula Two car, chassis number 5, during the 1972 European season. 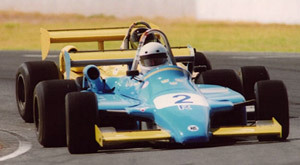 He succeeded in winning the John Player British F2 Championship. Lauda was run by STP-March as the number two works driver to Ronnie Peterson. He had borrowed and paid £43,000 – a fortune at the time – for a joint F1/F2 drive as a stepping stone to a Formula One career. The cross insignia on the car is the logo of the bank that lent him the money. 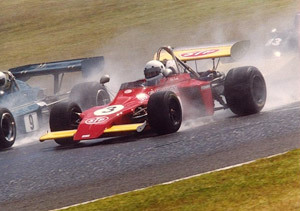 The first race meeting for this March 722-5 was at Mallory Park in March 1972. In his next appearance with the March, Lauda won at a wet Oulton Park, in only the second race win of his career. Lauda left March in 1973 for a drive with Louis Stanley’s BRM team, and went on to win the World Championship with Ferrari in 1975 and 1977, and with McLaren in 1984. The March then went through various configurations, including some time as a hillclimb car. It was then restored in Britain and shipped to Australia by an orthopaedic surgeon from whom Michael acquired it in 2000. It was restored in accordance with its appearance in 1972 and as driven by Niki Lauda, including STP and other sponsorship decals. It is powered by a Cosworth-Ford BDG 1975cc fuel-injected engine. With a power to weight ratio of about 600 bhp per tonne it is a very quick racing car and a blast to drive, but during his ownership suffered ongoing and expensive problems with reliability. 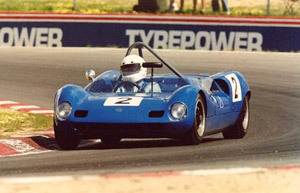 It is one of the few March 722s running with the correct 2-litre BDG engine. Most have been fitted with a more reliable BDA. Michael loved driving the car when it was going well, but his pockets were not deep enough to continue and in 2005 it was passed on to a prominent local collector of Formula cars. 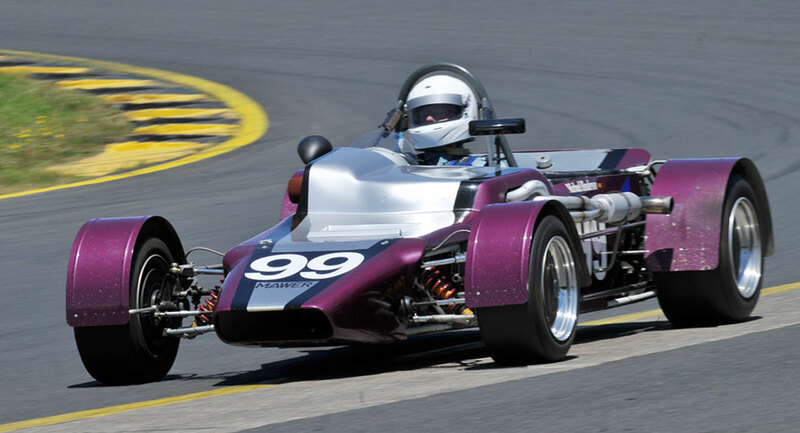 This Ralt RT4 is a 1992 model with several 1986 updates, originally constructed by Ralt Engineering Limited, Sutton. It was sold originally in Vancouver, Canada. The second owner, from 1984 to 1987, was Martin S Pang of Seattle. Martin is currently serving 35 years in prison in Washington State, USA, on four manslaughter charges. He set fire to the family warehouse for the insurance money. Seattle’s firefighting finest barrelled into the warehouse without checking, and the four fell through the floor. Martin decamped to Brazil, which would not allow his extradition on murder charges. The 35 years he got for manslaughter was the maximum possible at that time. The Seattle Fire Department were later held to be 75% responsible for the deaths in a subsequent civil action. It is still a cause celebre in Seattle. It went on to continue in SCCA racing on both the west and east coasts. Michael bought the car in 1996, and it was the first to be approved for Australia's then new “Group R” historic category for 1978-1986 cars. Michael loved driving it, for its responsiveness, dynamics, brakes and general fun. It is more of a young man’s car, however – he was not getting slower, but lots of younger drivers in RT4s were getting quicker! He sold it on in 2014, but it is now being used for track-day driving and has not returned to circuit racing.